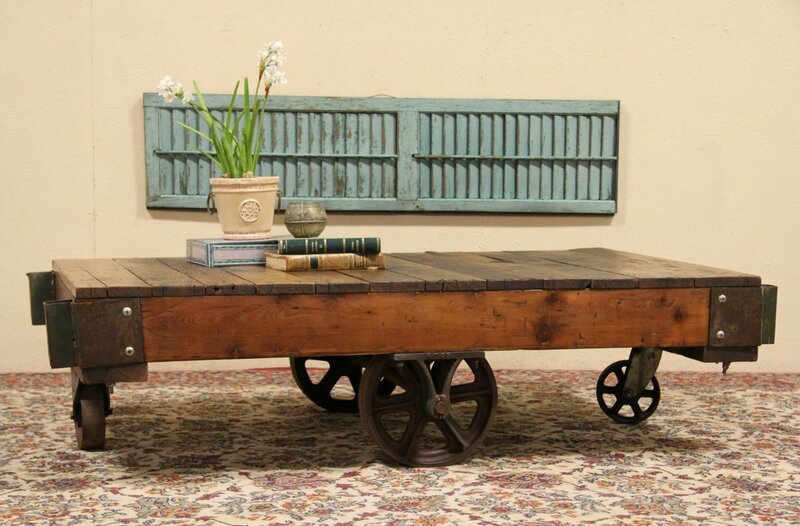 Made for a Wisconsin factory in the early 1900's, this well used cart or dolly would make a fascinating coffee table. Planks of pine, oak, cherry and maple have loads of antique character - stains, mars and wear - protected with a satiny finish. On the corners are removable sockets where handles were once attached. Iron wheels are authentic on this salvage furniture. Measurements are 65" long, 36" wide and 17" tall.